Well this sure came out of left field. 4 cv in, 4 cv out plus gate, thats great! Wonder what it will cost? Looks pretty great. Thinking under $2k? I was hoping for something simpler and cheaper. But I cant argue with the design. Just another synth for someone with bigger pockets..
anyone notice this in the video????? $1999 for a monosynth! That's ridiculous. Even though some of the specs are neat. CV, awesome step sequencer etc. guess it depends on if you want true VCO analog or Digital/Analog hybrid.. and considering Moogs aren't even shipping yet, it's pretty simple to cancel those preorders... I preordered the Sub 37 and am on the fence, there's plenty of features to like about the Pro2 but it's quite a hefty price tag..
the tempest is same oscillators as in evolver right? seems like a winner. $2k seems a little spendy but perhaps actual retail will settle a little lower? Because there are enough monos with analogue oscillators already? 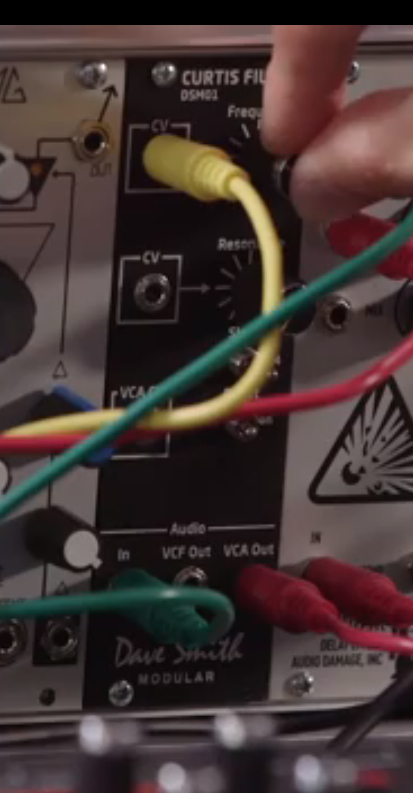 Dave likes hybrids that much is obvious, I've no hankering for a monosynth with VCOs really. That price is a bit of a shock if true - where did you see that? Seems to me it has more in common with Elektron Analog Keys than the Sub 37. BTW, all three keyboards cost $1500 or more. ehm, can't quite remember, to be honest. I think Tempest uses the same as the Mopho, which, if I recall correct, use the same as the Evolver. So yes, I think so. Or, at least I think I read so somewhere. Yeah, but I'd much perfer it like on the Evolver; both digital and analog osc's, + wavetables (and I had actually hoped samples as well). The price is listed here. Steep as phuck, thin as hell. Sorry I'm hatin', it looks awesome, but expensive. Had just hoped for something different. "Feel sorry for those that ordered the new moog"
unless you want a synth with a totally different sound. I see these two sitting next to one another well. Very little tonal crossover between dave's stuff and moogs. As with anything sold at Guitar Center and other such retailers, you can pretty much get 15% off if you just ask. And eventually a sale or promotion will probably put it closer to $1500 if you wait. I would be interested in a Tempest for its versatility but the fact that Midi ccs are not received is a dealbreaker- apprently this is TBI , at least that what the website says but it has been TBI for a while and I imagine this will slow it down..
where did the $2K mark come from? The Pro 2 is scheduled to start shipping late July with a street price of $1,999. For more information, see the Pro 2 product page.